Welcome to Episode 6! This week’s conversation is with Josh De La Rosa. 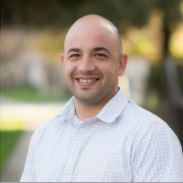 Josh is the Founding and Senior Pastor at Orangecrest Community Church in Riverside, CA. and in February 2017 is looking forward to celebrating Orangecrest’s 9th Anniversary.